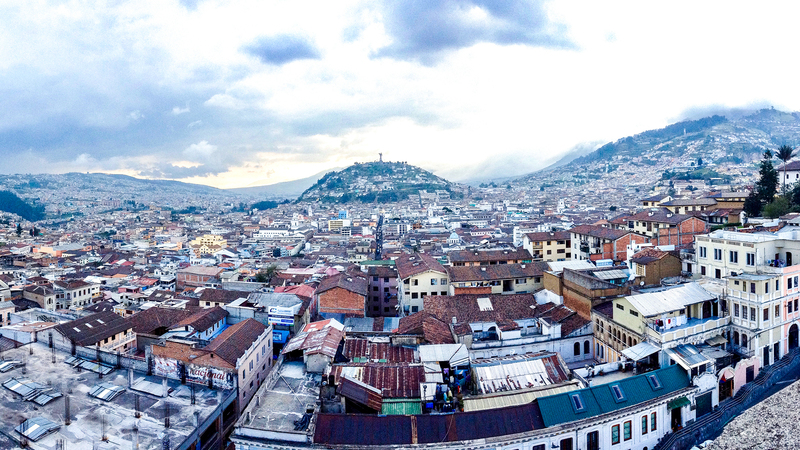 Ecuador, though geographically small, is an incredibly diverse country both in terms of people and terrain. Ecuador has four distinct regions: the coast, the Andes mountains, the jungle, and the Galapagos Islands. Contained within this country the size of Colorado, there are 11 distinctly different indigenous groups each with their own language group, the largest being the Kichwa. Of the roughly 11 million people in the country, about 5 million of those living between the Capitol city of Quito and the coastal port city of Guayaquil. The remaining 6 million live in rural, county settings. In the year 2000 Ecuador changed it’s currency from the sucre to the US dollar to stop the rapid rate of inflation. The conversion threw the country into a state of economic collapse, as what could once buy a week of groceries for a family could now only buy a few pieces of fruit. Ecuador experienced great poverty and a mass exodus of fathers and bread-winners as they left the country to find work abroad with the promise of sending money home and returning one day. Some upheld their promises, but many left and never looked back. As a result, an entire generation of children grew up without their fathers, disillusioned, and with great need. In spite of economic hardship, poverty, and an unstable government, Ecuador has reached stability and has recovered a great deal over the past decade. It is a country with a deep value for family and value of Catholic heritage, but lacking greatly both in physical needs and spiritual need. The Youth World team’s various ministries focus on bringing truth, hope, and training to the younger generation and their families to bring about holistic change. We partner with local efforts and the local church to build bridges for God to work in the brokenness and bring about restoration and transformation in His name. La Red Juvenil: Empowering leaders to develop an effective and relational youth ministry. We do conferences, training events, and professional training certification, coaching and mentoring and provide resources to leaders. International Student Ministry (ISM): Multicultural youth ministry that engages in a relationship with international students so they embrace Jesus, seek to serve others and build community wherever they go. This is a blend of disciple-making, programming and leadership training. Short-Term: Short-Term Ministries exists to facilitate biblically-based transformational experiences in collaboration with existing ministries in Ecuador. We do this through exposure and ministry teams, work teams, internships and a Semester Abroad program for university students from the USA. La Roca: La Roca Skate Ministry shares Jesus, disciples and invests in Latin America youth, equipping them to become leaders within their home, family, church, and society. El Refugio: A 320-acre training and retreat setting (30 minutes from Quito) which facilitates a deeper relationship with Jesus through nature and outdoor adventure. Casa Gabriel: A residential home for former street boys living in Quito. Our focus is to see youth at risk become followers of Jesus and successful leaders in their home, church, community, and world. We provide training for street kids — spiritually, academically and socially — enabling them to achieve their God-given potential as leaders and followers of Jesus. Living and Learning: A holistic study abroad program that focuses on discipleship, education, and cultural integration. This is accomplished through classroom instruction, internships, and experiential learning in the community of Quito and the country of Ecuador. Partnerships - Casa Adalia is a ministry of ITeams Netherlands and we have a close partnership with them. They work with young women in need. Youth World in an innovative team of 55 international field staff, interns and national staff. We have four different nationalities represented on our team including Ecuador, Canada, Holland and the United States.